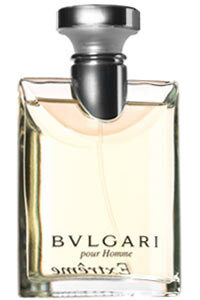 In Bvlgari pour Homme, the top note is composed of Darjeeling tea with a fresh lemon accent. The peppery heart note features rosewood and Gaiac wood. The musky end note gives a sensation of pureness and simplicity. In Bvlgari Extreme, a fresh hint of grapefruit has been added to the top note for a deeper and more intense interpretation of Bvlgari pour Homme.